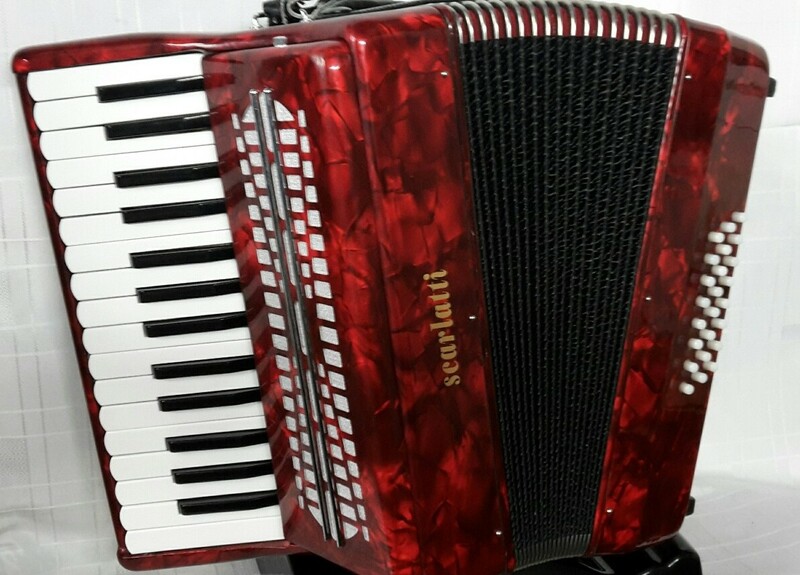 This pre-owned compact, lightweight accordion has 30 piano keys G-C and 24 buttons for fundamental bass, major and minor chords. This accordion would be an ideal instrument for a beginner. Two sets of medium tremolo tuned reeds . Finished in an attractive red pearl. Supplied with a hard carrying case *(these used cases are fully serviceable but may show some signs of wear). 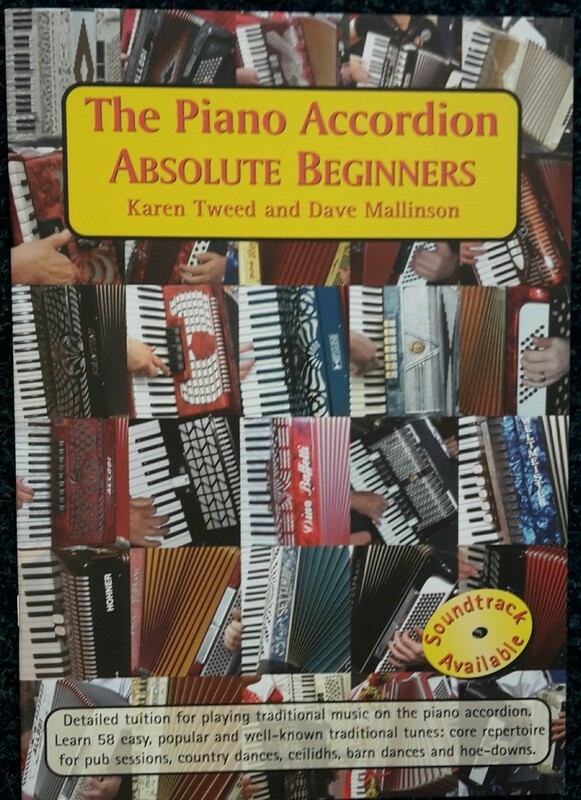 FREE Absolute Beginners Accordion tutor book. A 0% interest free loan is available subject to status on this Scarlatti 24 bass accordion via the Arts Council. Terms and conditions apply – please contact us for full details. 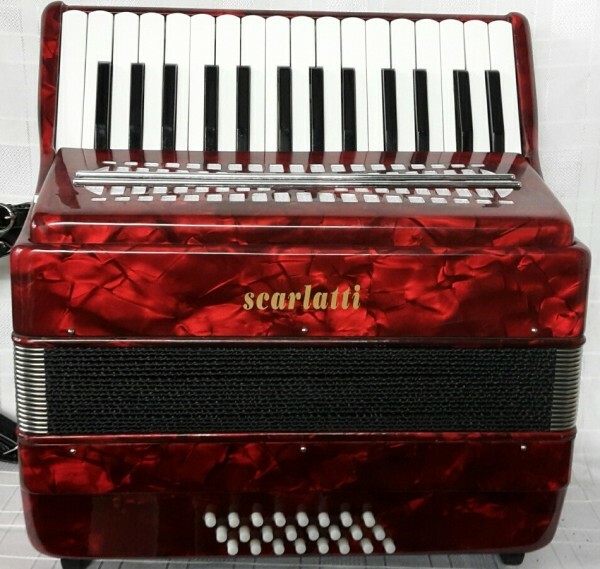 Don’t forget, free delivery of this excellent value for money Scarlatti 24 bass accordion to most parts of mainland UK is included in the price!